I’m delighted with this lovely review of THE SHARP HOOK OF LOVE. The takeaway: 4.5 stars from Meg, and praise for all aspects of my book. A Bookish Affair: Review: The Sharp Hook of Love by Sherry Jones. 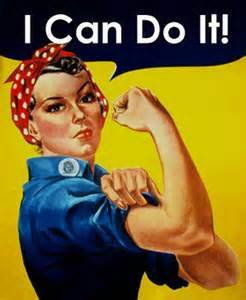 NaNoWriMo Authors, Quit Your Jobs! 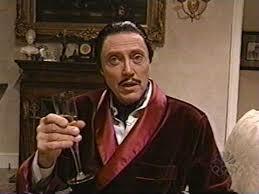 As the author of five published historical fiction books including my latest, THE SHARP HOOK OF LOVE, I seem to evoke a certain starry-eyed envy among would-be authors who dream of riches and days spent working at home in their smoking jackets. While I do work at home, often not getting dressed until I must go out — it’s 1 p.m. now, and I’m still in my ugly, fluffy pink robe — I am far from wealthy. In fact, last year I wondered if I’d be living in the streets. Why? 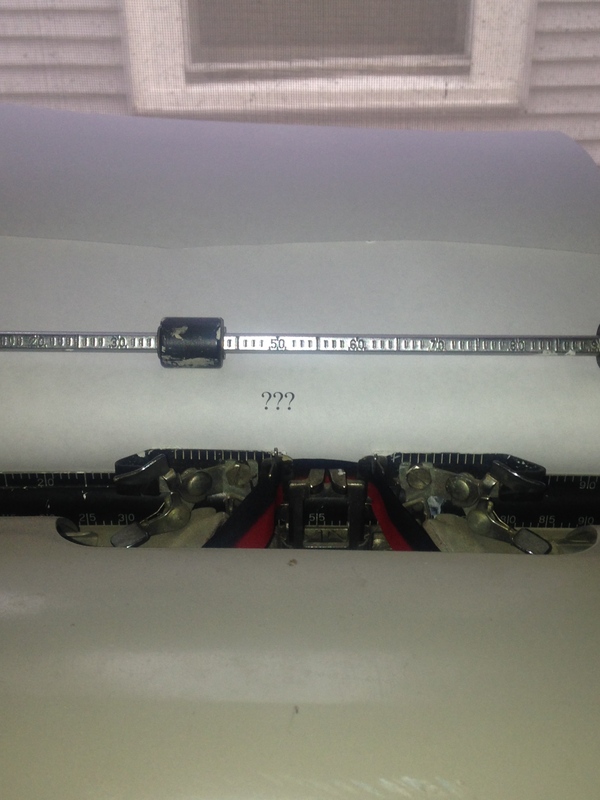 Because, buoyed by the success of my first novel, I’d quit my freelance journalism gig. Quitting made perfect sense at the time. 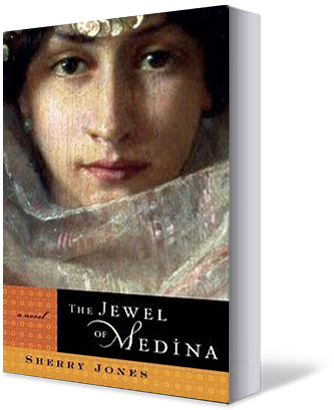 Reporters were contacting me around the clock about THE JEWEL OF MEDINA, my controversial debut novel about the youngest and most beloved wife of the Muslim Prophet Muhammad. My first publisher had backed out of our two-book deal for fear of terrorist attack, and my British publisher reneged after his London home office was set on fire in the middle of the night. Add in six foreign book tours, and I simply didn’t have time to be the correspondent my employer needed. That was my rationale. But the truth is, I didn’t want to do that work anymore. Having finally achieved my lifelong dream of being a published novelist, I wanted to write more novels. Period. A job? I didn’t need no stinking job! I was a published author, an internationally best-selling author, at that. I’d made the big time, and things were only going to get better. At the time, my reasoning seemed sound — to everyone except my agent. When I announced that I’d resigned from my freelance journalism contract, she paused. “It seems a bit premature,” she said. By 2011, royalties had slowed to a trickle. Slow sales of THE SWORD OF MEDINA — the sequel to “Jewel” — which had almost no U.S. publicity, meant my advance against royalties for FOUR SISTERS, ALL QUEENS, published May 2012 with Simon and Schuster, was a fraction of the $100,000 Random House had paid for my first two books. 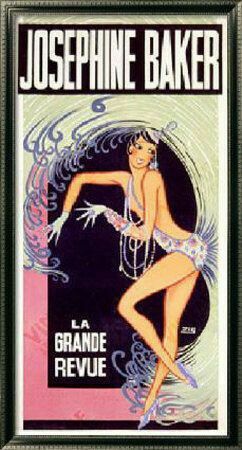 Making things worse, Beaufort Books decided not to bring out paperback editions of “Jewel” or “Sword.” No paperback! That “thudding” sound you hear is my books dropping off bookstore shelves. That echo? The last rattling coin in my empty bank account. My financial goose cooked, I tapped into my retirement fund to survive. I sold a rental house I owned in Missoula, Montana. I called my old freelance journalism client, but they’d replaced me and didn’t need my stinking help. I sank more and more deeply into debt. I worried about losing my house. I asked friends if I could count on crashing with them, should I lose everything. But anxiety has always been, for me, a great motivator. As I flailed and floundered, searching for some way to make a living, I discovered that freelance writing had changed. No longer was it limited to magazines and newspapers. More and more people were writing articles for the web, and getting paid for it — in some cases, quite well. I plunged into work, making contacts on social media, joining online freelance writing communities, enrolling in a course on finding good-paying jobs, and, at first, offering my writing and editing services for $25 an hour. Very soon, assignments, and money, began trickling in. Today, I have plenty of good-paying freelance jobs, enough to support my fiction writing habit even should I earn no royalties at all. The challenge for me now is allotting time to write and research my next novel while publicizing my new one, THE SHARP HOOK OF LOVE, while also doing the freelance writing and editing work that pays my bills. It would be so easy to become greedy, and spend all my time in pursuit of the almighty dollar. When you’ve been as close to the edge as I have, it’s very tempting to do so. I know I’d do very well — I would make six figures again, not just once, but every year. But I also know from experience that money doesn’t buy happiness — it only buys security, which isn’t the same thing. When I worked all day as a newspaper reporter, I liked my work but I felt deeply unhappy. “Snappish,” my partner called me. When we broke up, he wrote a bitter letter saying he’d gotten tired of hearing me complain: “It’s hell being Sherry Jones,” he jeered. I couldn’t blame him, but the fact is: It was hell being me, writing full-time for someone else with no time or energy left for the fiction writing that brings me joy. The great psychologist Carl Jung wrote that we should dwell not in life’s extremes, but in the creative tension between them. I like that. Writing all day for money and neglecting my fiction is one extreme; writing all day for the love of the work that doesn’t pay is the opposite. I’ll take the middle ground, thank you, spending half-time on my freelance writing and half-time on fiction, and keeping time for my family, my friends, and me, as well. Because while freelance writing feeds my body and, in some cases, my mind, fiction writing feeds my soul. And, I like to think, my novels feed the souls, and dreams, of others, too. I’m making a difference in the world — reader after reader has written to tell me so. Isn’t that what life is really all about? Posted bysjones2016 November 20, 2014 March 22, 2019 Posted inWriting lifeTags: jobs, NaNoWriMo, writing6 Comments on NaNoWriMo Authors, Quit Your Jobs! The Sharp Hook of Love has been the best historical romance I have read this year, and I have been privileged to read quite an abundance of great books in 2014. 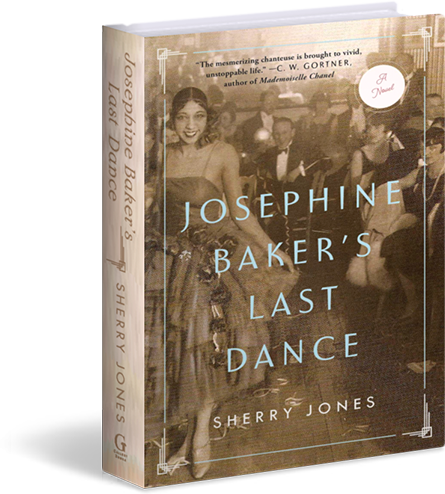 Jones’ lyrical style, along with her brilliance to bring this memorable historical couple to life will leave you in awe – torturously pleasing, achingly beautiful. For those unfamiliar with Heloise and Abelard what a wonderful way to discover a story penned with talent and competency on Jones’ part, no doubt you are in for a real treat. Cannot recommend this tale of unfaltering love enough, bravo Sherry Jones. I truly loved this novel. I hope that all the feelings were true. Pick this book up. You won’t regret it. It’s a love story that should be known and forever remembered. It’s a great example or discourse on what love was like back then, who was allowed to love, what the cost was, and what the reward was. Jones tackles the topic of societal norms and expectations of that era, without deterring from the lovers’ story. I hope you enjoy it as much as I did. I highly recommend THE SHARP HOOK of love not only because it is a compelling love story, but also because it is a well-researched historical novel set in twelfth century France. I have to say this is one of my favorite books! I could not put it down. I added Sherry Jones’ other books to my to-read pile! Amazing author! Amazing story! There is so much substance to this book, showing the author’s knowledge and depth of research that went into this story. Not just her knowledge of the characters but of the time period as well, the lifestyle and culture were shown in a way that had me visualizing so much. Written with feeling and sensitivity Sherry Jones had me consumed, wanting to reading just a little more till I was finished. I can’t imagine the amount of research and the leap of imagination it took for Jones to bring these historical characters to life… If you enjoy historical romances, I think you don’t want to miss this one. VERDICT: Based on Heloise and Abelard’s letters and many other documents and studies, The Sharp Hook of Love reminds modern readers of the most famous Medieval couple, of their powerful love and their numerous obstacles to live it. Combining romance and elements of mystery, this is a must read to know more about how a brilliant European woman lived and fought in the Middle Ages. I liked the way Sherry developed her characters and set the scenes. Once you start this book you will not want to put it down. I am going to look for more books by this author. I have to say as well I really liked the books cover and how much it looks like fine art. Which is just what this book was fine art, well written and interesting. The Sharp Hook of Love is an emotional read. It is a mesmerizing read. It is a haunting and memorable read. I loved how the chapter headers incorporated original text from the letters Heloise and Abelard wrote to each other. The feelings and emotions are expressed so well from the brief passages. it’s a deeply-felt romance that also raises some interesting and philosophical questions about the nature and impact of love. Sherry Jones has written a novel that explores the role that women had in medieval Europe. Does Joyce Carol Oates Promote Her Books? I really hate making everything all about me. On my social media sites, my friends and followers must be grinding their teeth in boredom right now, sick to death of hearing about my new book only two weeks after its release. But what’s an author to do? The number of books published annually in the U.S. has grown exponentially in recent years — from 10,000 a year in 2004 to nearly 300,000 today, thanks mostly to self-publishing, I presume. This explosion of books might level the playing field for writers (whether that’s good or bad depends on your perspective), but for those of us who’ve worked all our lives honing our skills so we could become one of those lucky few published authors, it’s not such a welcome increase. The fact is, many, many self-published books (they used to call them “vanity” books, for a good reason) are mediocre at best, dumbing down the people who read them and, as a result, our culture as a whole. But don’t get me started. Now that I’ve offended all my self-published-writer friends, I’ll move on to the topic at hand: promoting ourselves. Competing with 9,999 other vetted, presumably-decent-quality books must have been daunting a decade ago, but pitting my novel against 299,000, mostly poorly-written and on sale for 99 cents, feels overwhelming. It feels like my book is a tree that fell in the forest but, whether anyone is around to hear it or not, they probably can’t amid the collective crash of 33 other trees falling in the same hour. When I start work on a novel, I read only the best writing I can find. I have a garbage-in, garbage-out mentality (and you should too). 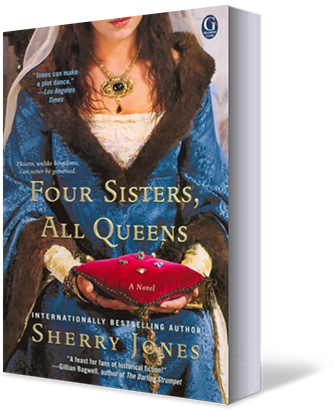 I read “Wolf Hall” while I wrote “Four Sisters, All Queens,” which may be the reason I wrote it in third person, present tense, irking some readers to no end. I read “The Dovekeepers” before I started “The Sharp Hook of Love,” which may account for its serious tone. (I know it influenced the original prologue, which got removed during editing but which, liking it as I do, I plan to offer for free on my Swag page soon.) As I write my forthcoming novel about the African-American-turned-Parisian dancer and chanteuse Josephine Baker, I’m re-reading Joyce Carol Oates’s “Blonde,” about Marilyn Monroe. It’s one of my favorite books of all time, with the kind of writing I adore: filled not with plot twists but with writing surprises, with aha! moments in which you see a thing in a new light or, better yet, in a way you’d always seen it but never before put into words. This is how I want my next book to be, so interesting and stimulating that even I, who never re-read my books, will want to read it again and again. As I read, I wonder: does Joyce Carol Oates blog? Does she send out letters on Goodreads to all her friends announcing each new book? Does she bore her Facebook friends with post after post, photo after photo, event invitations ad nauseous about her appearances? Does she check her Amazon rankings, or make videos of herself talking or reading, or tweet the latest reviews, or pay someone to organize blog tours? Does she hustle her book at events, or stand on her feet, behind a table stacked with her books, for hours at book fairs or trade shows? I’ve done all these things in the interest of drumming up attention, and sales, for my books. I’m not alone, either. Read Tinney Sue Heath’s hilarious post about the lengths she’s gone to to promote her new novel. If you’re an author, your laughter may contain more than a tinge of unease, as you recognize yourself. My good friend Debra Magpie Earling, author of the wonderful Perma Red and creative-writing professor at the University of Montana, told me she’d heard that Ms. Oates writes continuously, even while she’s speaking publicly. She’d never believed this tale, she said, until she witnessed it herself. Standing in the wings during one of Ms. Oates’s speeches, she spied Joyce’s hands on a keyboard under the lectern, typing away as she spoke. Somehow, with more than 40 novels plus novellas, non-fiction books, and short-story and poetry collections to her credit — in addition to teaching — I doubt she was writing her next blog post. Where do I stop? With “Four Sisters, All Queens,” I decided not to spend my precious time writing blog posts except when invited by others to do so. That decision worked out just fine; this book is still selling fairly well, more than two years after its May 2012 debut. Maybe, like Ms. Oates, I ought to save my writing for the work that pays: my freelance work and my books. I’m 53, after all, and I’ve published only four novels and one novella. I’ve got a lot of catching up to do if I’m to compete with Joyce Carol Oates — quality-wise or quantity-wise. Forty novels! “Blonde”! Now here are reasons to compete. Emma at Words and Peace praises THE SHARP HOOK OF LOVE in this finely honed, intelligent review, but also questions some of the choices I made in writing the story. Be sure to read my responses in the comments section! And then keep your eyes open for the “missing chapter” I talk about here, coming soon! In the meantime, come over to my swag page for access to a beautiful video presentation of the couple’s newly-discovered “lost love letters”: exchanged during their love affair! Book review and giveaway: The Sharp Hook of Love – I love France #119 | Words And Peace. It’s always great to be interviewed by a journalist, and given the chance to speak my truths. This interview ran in the Sunday, Oct. 5 Spokesman-Review, Spokane’s daily newspaper. Enjoy! 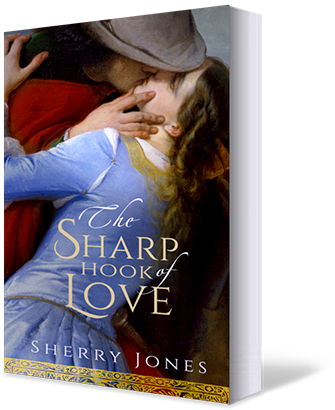 Book Review: Sherry Jones’ ‘The Sharp Hook of Love’ – Spokesman.com – Oct. 5, 2014. Another wonderful review, from Kimberly Eve: “The Sharp Hook of Love is a beautiful love story I would wholeheartedly recommend.” And I wholeheartedly recommend you read her blog! Kimberly Eve Musings of a Writer: A review of The Sharp Hook of Love by Sherry Jones. The Tale of 12th Century Abelard and Heloise Shows Love Can Endure All Things: Excellent Read! | Oh, for the HOOK of a BOOK! The Tale of 12th Century Abelard and Heloise Shows Love Can Endure All Things: Excellent Read! | Oh, for the HOOK of a BOOK!. Guest Post by Sherry Jones: The Greatest Love Story of All Time: Abelard and Heloise | Judith Starkston. The passionate story of star-crossed lovers Heloise and Abelard is well known, but Jones (The Jewel of the Medina; Four Sisters, All Queens) makes the classic tragic tale all too human in her new novel, which deftly explores the complexity of love between two brilliant and strong-willed people caught up in the pursuit of fame and independence as well as passion. Readers will recognize the familiar conflicts between what constitutes love and sacrifice for a man and what it means to a woman, and they will be struck anew by the dichotomy of mutual passion that both draws men and women together and tears them apart. All the while, in the background courtiers, scholars, canons, and bishops jockey for power, prestige, and a place in history, ready to destroy anyone who gets in their way. Verdict A colorful, compelling tale that will appeal to any reader, though one wishes the unique character of the brilliant Heloise had been more fleshed out before the introduction of the spellbinding Abelard. via Fiction from Cameron, Fournier, Jones, Littlefield, Twelve Hawks, & Zeltserman | Xpress Reviews.